It is no secret that libraries are a homeschoolers best friend. Homeschool families take on a multitude of challenges and expenses to meet the needs of their children. For many families, libraries can help take the brunt of some of those costs. Libraries today though are more than just a brick and mortar building where we can check out books and materials. Many libraries also offer online services through apps and websites for additional access to ebooks, audiobooks, movies, music, and much more. This makes libraries an even greater resource to homeschooling families than ever before! Libraries across the world use various programs and apps to deliver ebooks, audiobooks, and more to their patrons. The two most common that you will see available are Overdrive, Hoopla, and RB digital. Overdrive is the most common ebook and audiobook program used by libraries. You can access it online as well as through their Libby app. It works like checking a library book out at the physical library. You are allowed a set amount to check out and typically can keep the materials for two weeks (some libraries allow for longer times). You can also place holds on items not currently available and recommend titles you want to read. Hoopla is also a popular choice because it offers no wait time for the materials you want! No more waitlists! You can instantly borrow movies, ebooks, and more with your library card. Each library system will have a cap at home many they allow a month. These are just a couple of the various programs out there that your library might use. So how do you know what your local library offers? Give them a call, stop in as ask or find them online. Each branch has information on all the different extras they have available. Are you using your local library but still need more? Many smaller local libraries have lost their funding over the years and while it is always important to donate and help your local library succeed you may need more resources to supplement what you have available. Try an out of state library membership! There are a few libraries across the United States that offer out of state memberships for a fee. Did you know this was a thing? I didn’t know until recently when we found we needed more variety and resources. Especially with audiobooks, we tend to fly through those with road trips and listening during art time. For only $27 annually, you can access the Fairfax County Public Library’s online resources and access ebooks and audiobooks through Overdrive, RBdigital, and Freading. A non-resident fee of $20/6 months or $40/year will give you access to six million books, e-books, DVDs, magazines and research materials and more than 130 electronic resources which include streaming music, videos, images, audiobooks, and countless other subject-based websites and databases with the Houston Public Library. A yearly membership fee of $45 allows you to use the Charlotte Mecklenburg Library’s ebooks and audiobooks through Overdrive, Hoopla, RBdigital, and NCKids. You also get access to free music from Hoopla and Freegal. For $50 annual fee, those out of New York State can get an out-of-state library card. 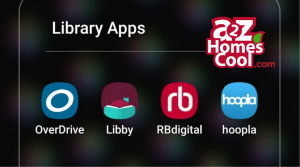 This card will allow you access to their SimpleE app with access to 200,000+ free eBooks plus their Overdrive, CloudLibrary, Flipster, and Hyread accounts too. A $50 yearly gets you access to The Free Library of Philadelphia’s many online library databases. You also receive usage of ebooks, music, and audiobooks from Overdrive, Bookflix, Freading, Hoopla, RBdigital, Tumblebooks and more. They also offer free movies and music with Kanopy, Music online, American Song and more. An annual fee of $50 provides you with Enoch Pratt’s BookFlix, Flipster, Hoopla, Kanopy, Overdrive, RBdigital, Safari Books Online, as well as many other online resources. Your Queens Library out of state account is your passport to educational and recreational resources that the library has to offer. For $50 annually, you will have access to research databases, e-journals, digital media, and downloads. For $80 a year, the Salt Lake County Library will allow you to use their large catalog of ebooks, audiobooks, e-magazines, e-movies and more with your non-resident e-card. The most expensive membership of $125 for a year open up an extensive amount of Orange County Library System to you. This membership gives you e-magazines, ebooks, music, video, and audiobooks from Overdrive, Freading, axis360, ePulp, RBdigital, Kanopy, Freegal, Hoopla, Tumblebooks, and TeenBookCloud plus other databases available online. I am sure that this isn’t a comprehensive list but hopefully enough to help you find one to meet the needs of your family and expand your available digital library resources! Do you know of a library that offers an out of state membership that I missed? Leave me a comment below so I can add them!